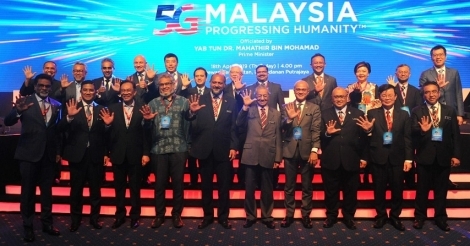 While Malaysia’s developments in physical and digital infrastructure are a national priority, improvements in “soft” infrastructure remain an elusive concept that could undermine the country’s aspirations to achieve developed nation status. In this, the last instalment of the Tech Vision series, Frost & Sullivan’s Manoj Menon looks at how emerging and innovative technologies can help Malaysia and Singapore solve their causeway traffic and border-crossing problems. Week in Review: What’s next for disruptor Tony Fernandes? What’s an old-school business guy doing at a tech conference? Probably because his most famous venture harnessed technology and innovative business models to disrupt the entire global airline industry, and he is aiming to do the same to other industries, writes DNA founder Karamjit Singh. Frost & Sullivan, through its Tech Vision analysis, has identified 50 disruptive technologies. In this instalment, Manoj Menon looks at how M2M communications, self-healing polymers, drones and low-cost sensors can help solve Malaysia’s water issues. Frost & Sullivan, through its Tech Vision analysis, has identified 50 disruptive technologies. In this instalment, Manoj Menon looks at how Augmented Reality, Smart Haptics and Touch, OLED Displays, and Predictive Data are driving the transformation of the retail industry. Frost & Sullivan through its Tech Vision analysis identifies 50 disruptive technologies to help companies make sense of these technologies for their business. This column looks at how these emerging technologies can be used to combat that silent killer, diabetes. Frost & Sullivan through its Tech Vision analysis identifies 50 disruptive technologies to help companies make sense of these technologies for their business. This column looks at how predictive analytics, ‘Everything-as-a-Service,’ M2M communication, UAVs and sensor fusion can be applied to combat crime.